For the Sherwood High School girls soccer team, it was quite a debut season in Pacific Conference play. The Lady Bowmen finished in second place in the final conference standings at 5-1 (Glencoe won the Conference championship at 6-0), while going 13-5 on the season, winning a couple of Class 6A state playoff games and reaching the quarterfinal round in postseason action. Now, some of the Sherwood players are being honored for the their play in Pacific Conference matches with all-league accolades. Leading the way is Lady Bowmen junior forward Loma McNeese, who was tabbed the Pacific Conference Player of the Year. McNeese, who was a first-team All-Three Rivers League selection a year ago, was the top scorer for the Sherwood girls during the season. 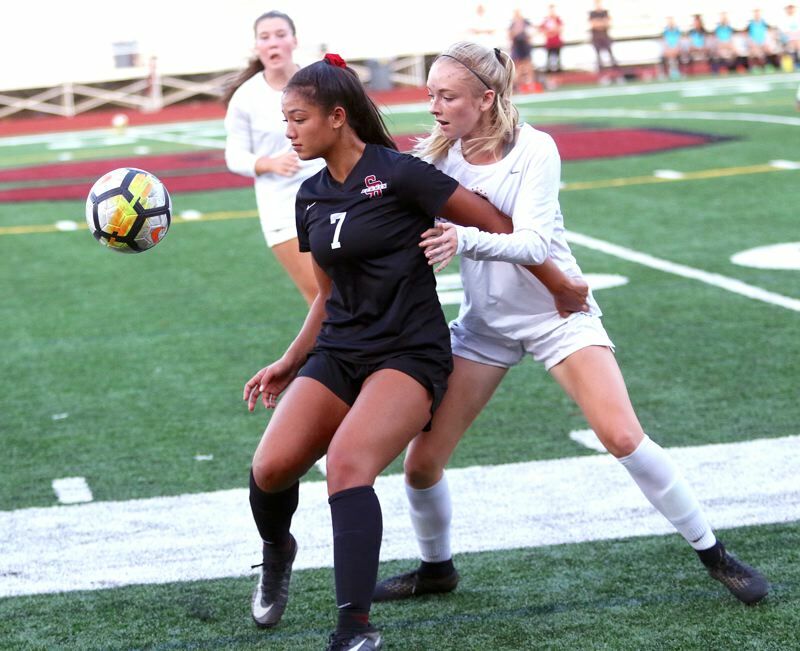 She also stepped up during postseason play, notching three goals in a 3-2 first-round victory over South Eugene, and then scoring four more goals in a 6-5 second-round playoff win over Westview. Sherwood senior Madi Pastores, who also was an All-Three Rivers League first-team pick last year, joined McNeese on the All-Pacific Conference first team this year. Other Lady Bowmen on the all-conference first team include junior midfielder Jillian Leroux and senior defender Jenna Funk. Sherwood players on the All-Pacific Conference second team are junior forward Alysia Alvarado and sophomore midfielder Allison Alvarado. Lady Bowmen senior defender Abby Eisenbeiss was an all-conference honorable mention pick. Other all-conference first team selection include Glencoe senior forwards Sarah Mauk and Celeste Molina Sanchez, McMinnville senior midfielder Tori Fox, Liberty junior midfielder Ivette Garcia, Glencoe senior midfielder Matty Bullis, Century senior midfielder Kaitlyn Springer, Glencoe senior defenders Michaela Kirschted and Erika Gonzales and Century sophomore goalkeeper Ella Smith. Glencoe's Josh Richards was named the Pacific Conference Coach of the Year.